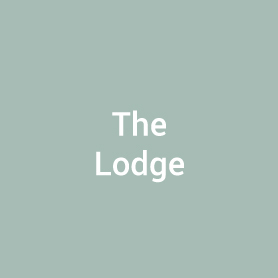 The Lodge as standard has a 2’6″ verandah, green polyester mineral felt roof, a stable door and an integral loft and ladder, which is positioned against the back wall. All windows are glazed with safety acrylic. Please note, the 6′ wide Lodge does not have the single window next to the front door. 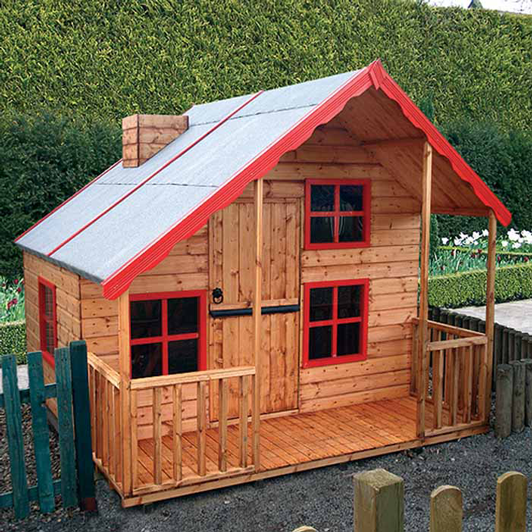 All children’s playhouses come with piano style door hinges, angled to leave a gap when shut. There is also a gap between the stable doors to prevent fingers getting trapped, and rounded fascia boards. A high quality timber treatment is applied throughout prior to delivery. Add an extra access point. Add the extra feature of a chimney. Red, green, blue, yellow or pink. Polyester mineral felt roofing in red or black.